Имате въпрос към Loxy Inn Surabaya? Loxy Inn Surabaya е предпочитан както от пътуващите по работа така и от туристите заради качествения и удобен престой, който предлага квартал бизнес, пазаруване, ресторанти на Сурабая. Този 1-звезден хотел е леснодостъпен, тъй като е само на 18.2 km от летището. С удобното си местоположение хотелът предлага лесен достъп до всички градски забележителности, които задължително трябва да се видят. Съоръженията и услугите предлагани в Loxy Inn Surabaya гарантират Вашия приятен престой. Хотелът предлага достъп до широк спектър от услуги като 24-часов рум-сервиз, съхраняване на багаж, Wi-Fi връзка в общите части, паркинг, рум-сървиз. Loxy Inn Surabaya разполага с 18 стаи, които са обзаведени с вкус. Много от тях предлагат удобства като телевизор с плосък екран, безплатно разтворимо кафе, безплатен чай, хавлии, достъп до интернет (безжичен). Независимо от това, дали сте фен на фитнеса или просто търсите начин да отпочинете след уморителен работен ден, в хотела ще намерите най-висококачествените съоръжения, такива като градина. Loxy Inn Surabaya е идеално място за туристи, търсещи чар, комфорт и удобство в Сурабая. Is not a house like the picture that we see, inside is big area, and have many rooms. If they provide slipper would be better. Room was clean and big, AC and wifi worked fine. Staff didn't speak English, kitchen was not the cleanest one. The place was very clean. Location was close to the centre. However, the staff didn't know English. It took some time to express to him that our booking was a room with a private bathroom. Felt a bit uneasy when arrived at the place. Location at darker side alley from the main road. Staff seemed untrained for hospitality & customer service - 1 seemed disinterested but the other 2 were at least friendly and helpful. We were the only guest that night and the lack of any other guest was again unsettling. Did not realise that we booked standard room which has no attached bathroom. Given ground floor room and had lots of mosquitoes in it. Managed to pay another IDR50k for the standard plus room with attached bathroom on the 1st floor and felt better. Negative factors aside, the room was clean and price was reasonable. The customer service was super rude. Отседнахме 9 вечер/и в ноември 2015 г. Its not near train station at all. But its ok if you stay for a night as a stopover. Disinterested staff,nobody speaks English. Got eaten by mosquitoes in room. Clean and spacious room. Wifi and air-cond are strong. The room is clean and spacious for a backpacker standard. The toilet is ok. 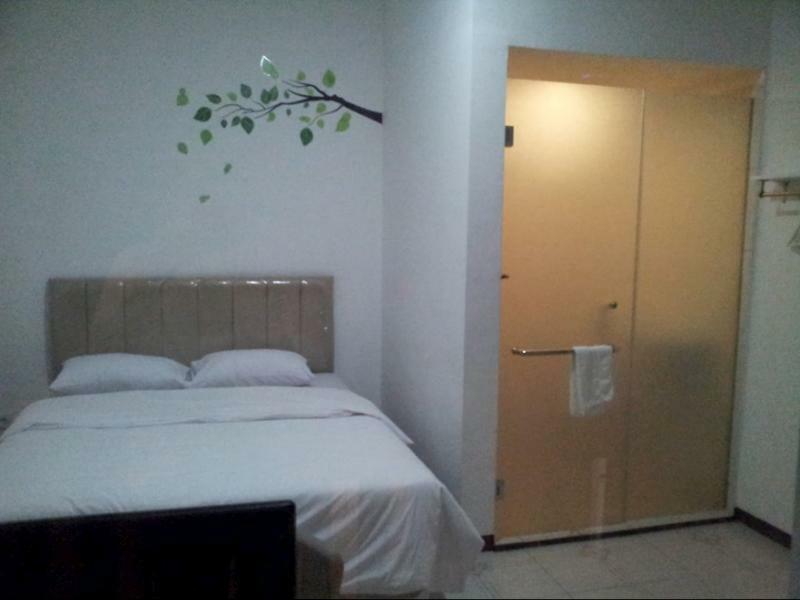 It is 7 minutes walk to Plaza Surabaya. This place is in the alley, hence it is not that easy to locate. The office is simple. Actually not really an office. They put one table in an open area to meet guests. That's all! The receptionist sleeps next to it on the floor on a foldable mattress. It is located in the center of Surabaya, quite near to shopping mall. The room is not so clean especially the floor. I think they are not cleaning it regularly. Bathroom is smelly. You have to request for towels because no towels ready inside the room. Be careful, there is a "small towel" inside, but it is a mat i guess, so you have to request for real towels. Good enough for short stay and backpacker. 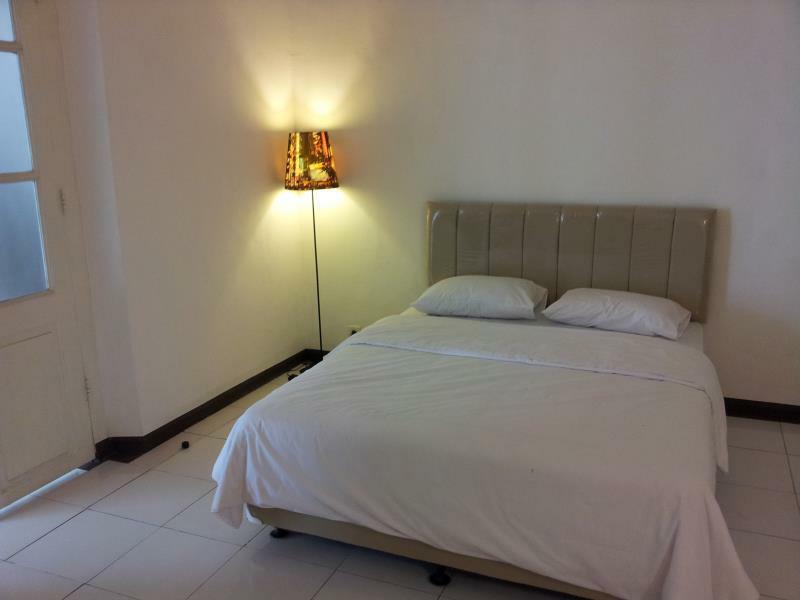 The location, cleanliness, and decent sized room with essential amenities provided. The stay at Loxy Inn was enjoyable and the place is very new and clean. Considering the location (which is near Tunjungan Plaza i.e. the biggest shopping mall in Surabaya) and the condition/amenities of the Inn (e.g. 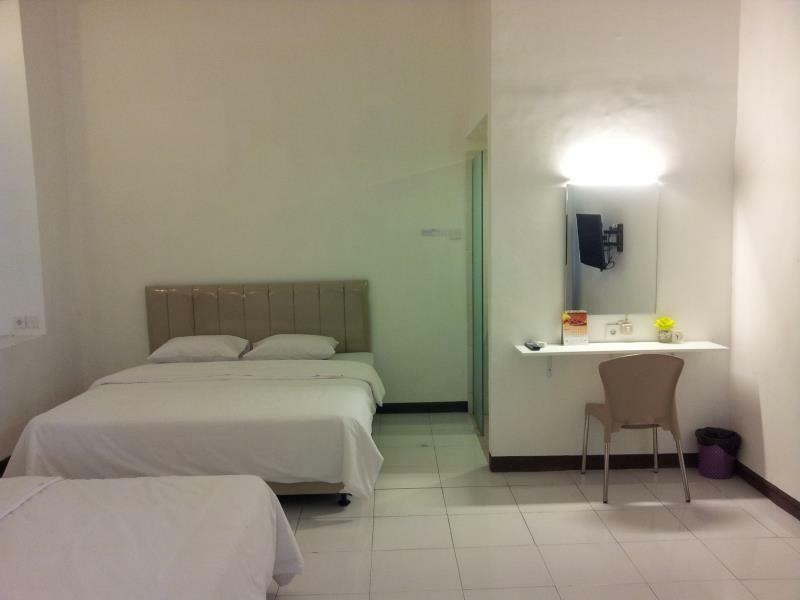 air-con, comfy bed, TV, free wifi, common pantry), it is definitely value-for-money accommodation. The staff were also very helpful and friendly. They attended to our queries with regard to general information and directions to places that we wanted to know. Overall, we had a good experience at Loxy Inn.